Buying a Taylor Wimpey de España home doesn’t only mean you’ll have a beautiful place to live. It also means you’ll have peace of mind. That’s because Taylor Wimpey de España is part of the UK’s leader Taylor Wimpey plc. We have been building homes in The UK since 1880. 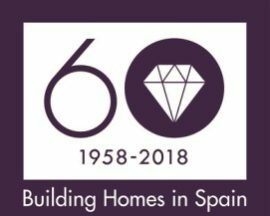 In Spain we can call more than 60 years of experience building some of the country’s most respected residential developments. Our exceptional reputation is built on a unique combination of skills that allow us to build a wide variety of housing projects. All this experience and expertise means you can relax and enjoy your bright, spacious new home, safe in the knowledge that every detail, including the ones you can’t see, are of the very highest standard. Our sales department will be your constant point of contact, with all communication in English, and from the moment you sign the two-party contract with us our Customer Liaison Officer will be available to answer any queries you may have. In addition to a ten year structural guarantee we also provide a 24 hour emergency help-line and a quick and efficient after sales service, committed to dealing with your request within 15 days. (*) Data taken from our “Customer Satisfaction Index”, a regular survey that we ask all our clients to complete after they have enjoyed their new home for a few months.